Typically, the process is pretty straightforward when we work with a company to start a product review. If sizing isn’t a factor (BTA systems, wheels, etc…), it’s simply a matter of providing a shipping address and waiting for the box to show up. Of course bikes are always a bit more complex since we have to determine which editor will be the primary test rider and then determine which available test bike will be the best fit. However, Zipp’s Vuka Stealth presented its own unique challenges. First, we determined that Tracy, our multisport editor, would be handling review duties. 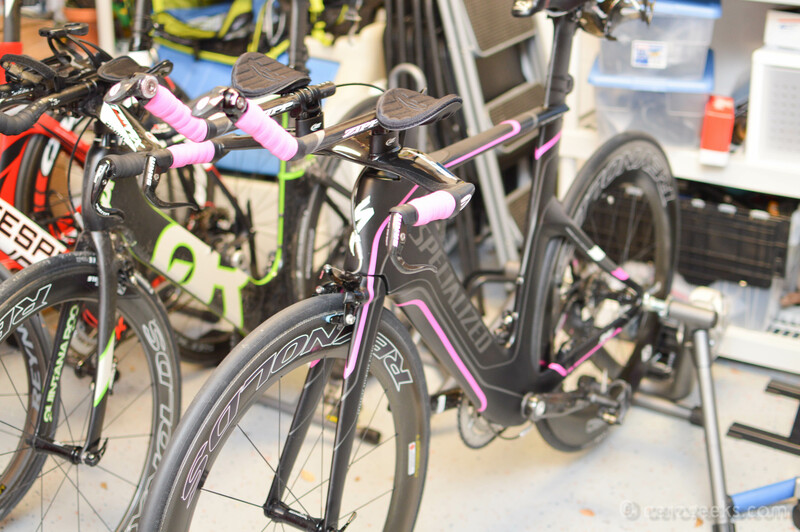 So the Stealth was going on our Specialized Shiv test bike . And at the time, Tracy had completed a Retul fit on that bike only a few weeks prior. 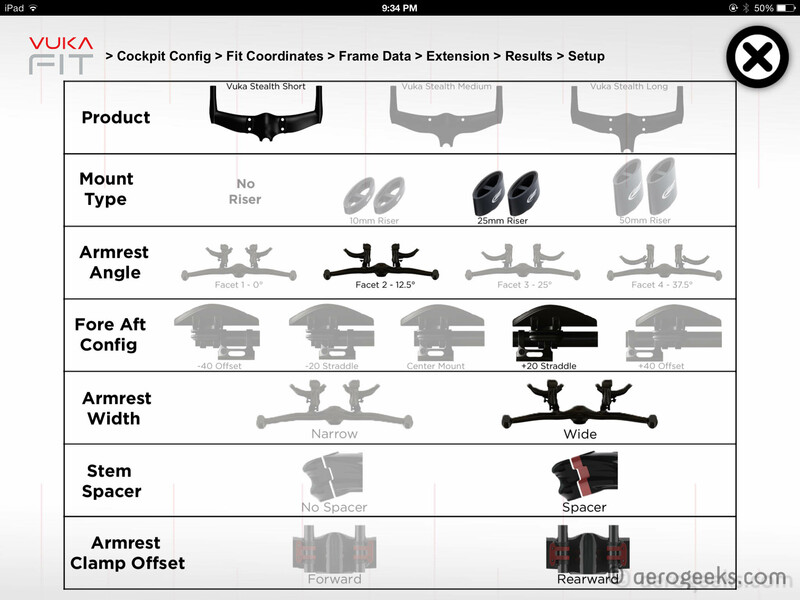 Next we booted up the Vuka Fit app (you can check out our review here) to get the proper measurements and components determined. Only then were we ready to connect with Zipp to ship the equipment. Once the boxes arrived, we installed everything on the bike using the configuration provided by Vuka Fit. After making a few adjustments, we were finally ready to ride (took us about a month to get it all done). But here’s the thing, doing things right can take time. And with the Stealth, it was time well worth it. 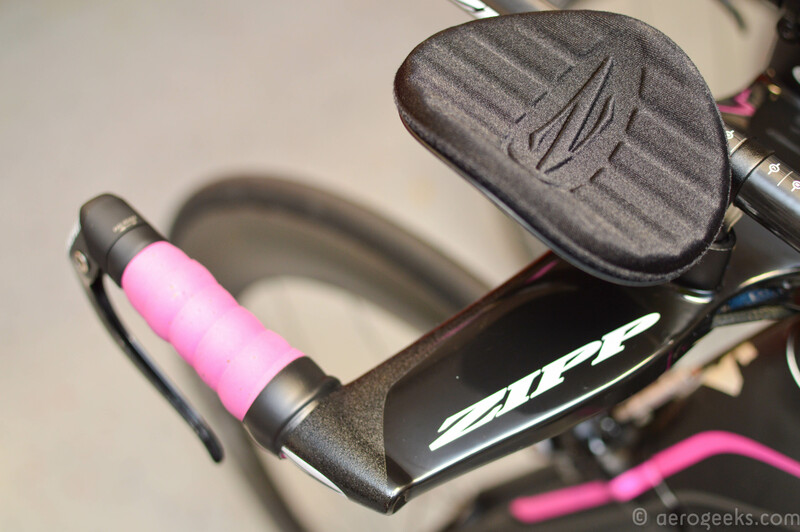 Zipp introduced their new integrated aerobar, the Vuka Stealth, back in February 2013. With 1,920 fit options, this was designed to be the most adjustable integrated system on the market. 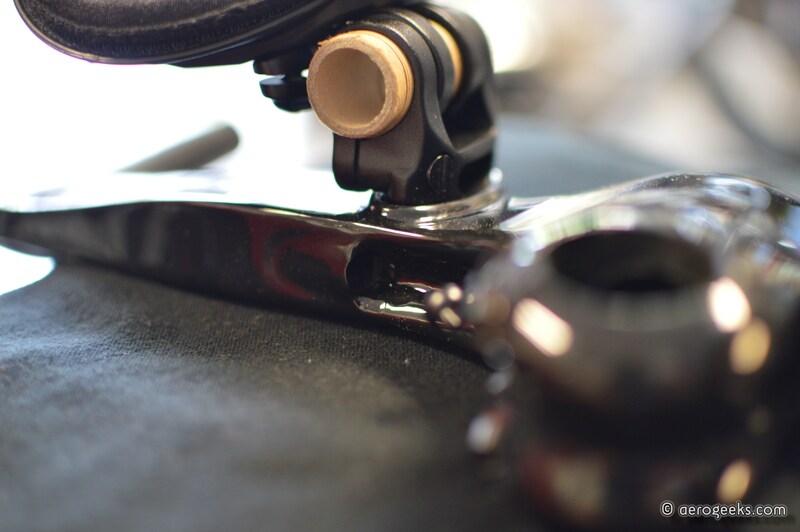 The integration comes from the Stealth combining the stem and basebar into a single piece, as well as the extension mounts being built into the basebar. The basebar itself uses a Kammtail truncated airfoil shape that maintains the current UCI 3:1 aspect ratio requirement. The bar is available in three sizes—short, medium, and long. Although that relates to the integrated stem length, not width (which is at a fixed 420mm). Now let’s talk about fit. At the end of the day, an improperly fit bike will negate any aero advantage your equipment can provide. Triathlon requires large amounts of time in the aero position—the more time you spend out on the pursuits, the less aero advantage you are receiving. Therefore you need to be comfortable in the most aero position possible. As we mentioned earlier, the Stealth is available in short, medium, or long. Each size also includes a stem-length spacer to increase stem length by an additional 10mm. That provides a total of 50mm of stem-length variation. The effective stem angle results in no rise. If you are looking for stack (the ability to raise the arm rests and extensions in relation to the bar), the Stealth ships with three sets of risers (two each of 10 mm, 25 mm and 50 mm) and allows proper pedestalling – the extensions and armrests are a single unit (you don’t end up with a situation where the pads are raised but not the bars). But stack is just one of multiple fit options the Stealth offers. The armrest can be set at one of four angles (0°, 12.5°, 25° and 37.5°). The pads themselves can be moved 80mm relative to the bar in five positions; +/- 40 mm, +/-20mm and center mount. The extensions can be angled up and down +/-6°. Finally the extensions can be mounted in either a narrow or wide configuration. Interestingly, this was our one issue with the Vuka Fit app. 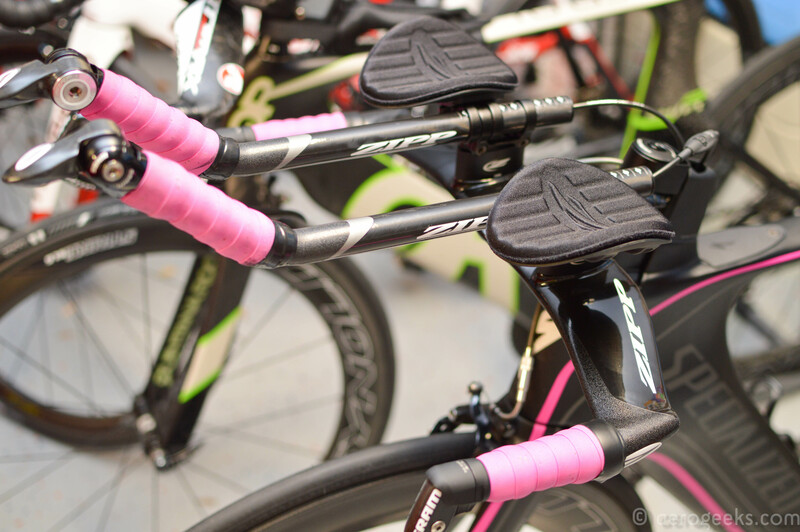 When we initially set up our Stealth, we noticed the bars were very wide as compared to the original setup we had on our Shiv. At first, we thought it was our measurements. However, we knew we had triple-checked our measurements, so we were confident they were correct. Could it have been Vuka Fit? Fortunately we quickly we realized the real issue lied with the Shiv itself. The Shiv ships with extensions that actually slope in toward each other, and the Vuka Fit app had no way of taking this into account. The result was that we chose the wide setting for the bars instead of the narrow. Unfortunately, we had already wired up the bars. So to flip the setting, we had to unhook the shifters, pull the wires, and do the swap. The moral of the story is double check the setup before you begin wiring. Speaking of the extensions, the Stealth does not ship with them. However, the good news is that there is no proprietary extension standard here. The brackets accept the industry standard 22.2mm extension. 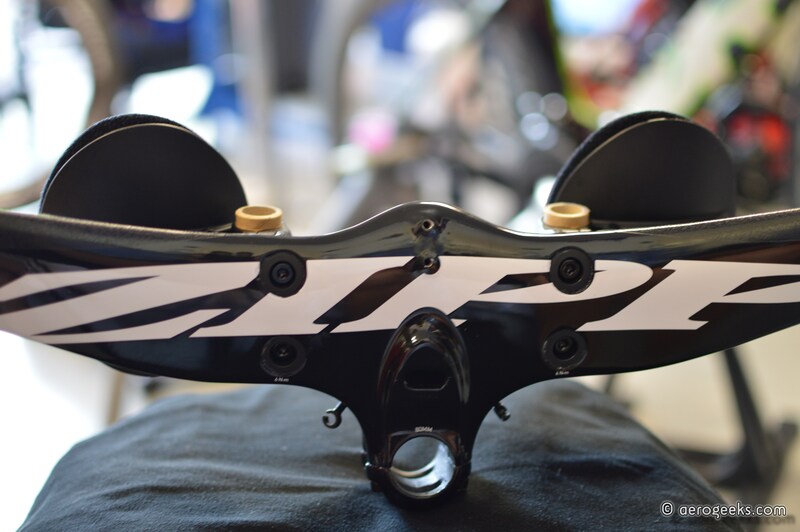 Zipp does offer 6 extension options (aluminum neutral, aluminum ski, carbon neutral, carbon ski, carbon straight and carbon neutral with integrated shifters) so they have plenty of options available. Or if you have a personal favorite, you can always stick with that. To handle different frame and build needs the Stealth offers two ways to set up the brake lines – allowing you to have them exit from either the stem or behind the base bar. 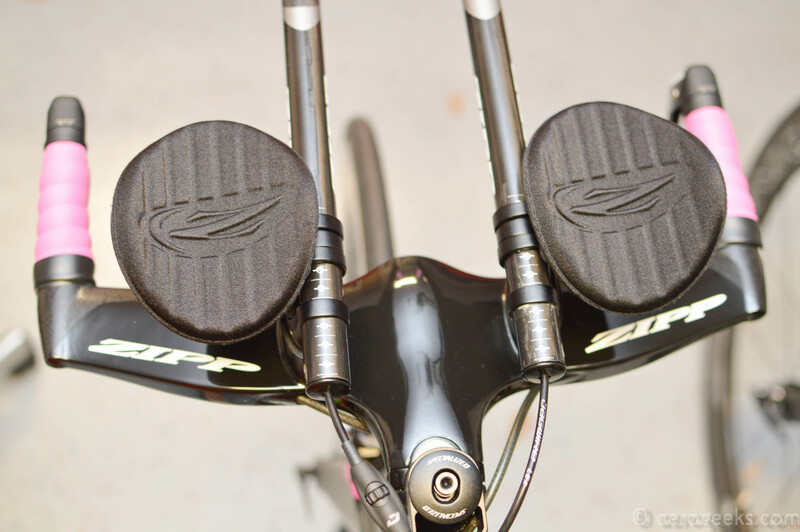 Both use Zipps Rapid Routing that provides clean passage for the cables. 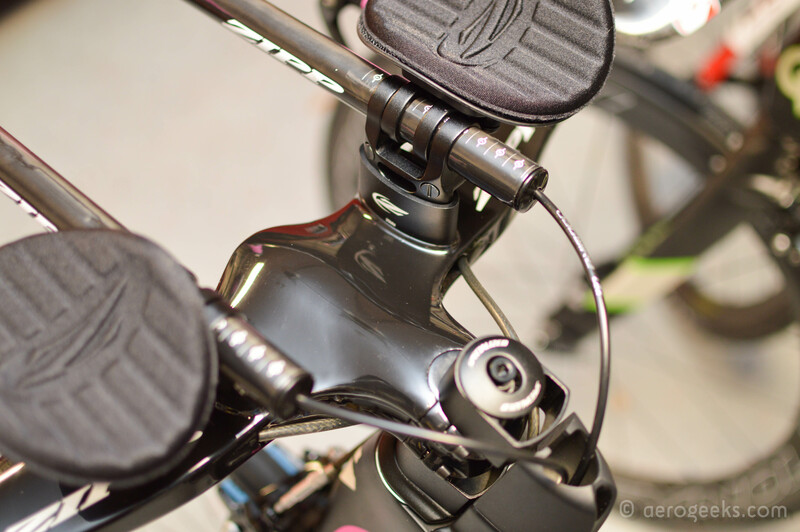 The Stealth also ships with an optional Garmin ¼ turn mount that fits in front of the stem. Although we didn’t test it since the mount interfered with the BTA systems we use on our test rides.The basebar is unidirectional carbon fiber, and Zipp claims a weight of 820g with Vuka Race (straight) extensions. Unfortunately, as you’ve probably guessed, all of this adjustability and aero doesn’t come cheap. The Stealth retails for $1,070, which does NOT include extensions. 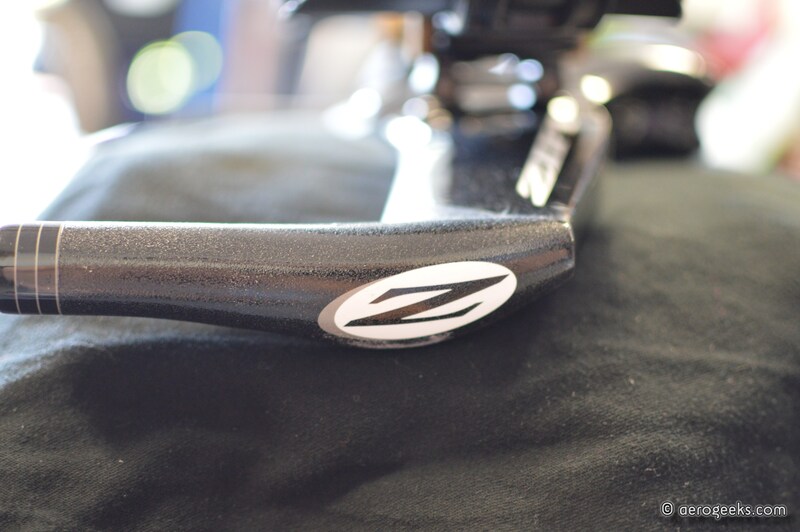 Zipp carbon extensions will add an additional $130 to the final price. When it comes to aerobar fit, it’s typically hit or miss. 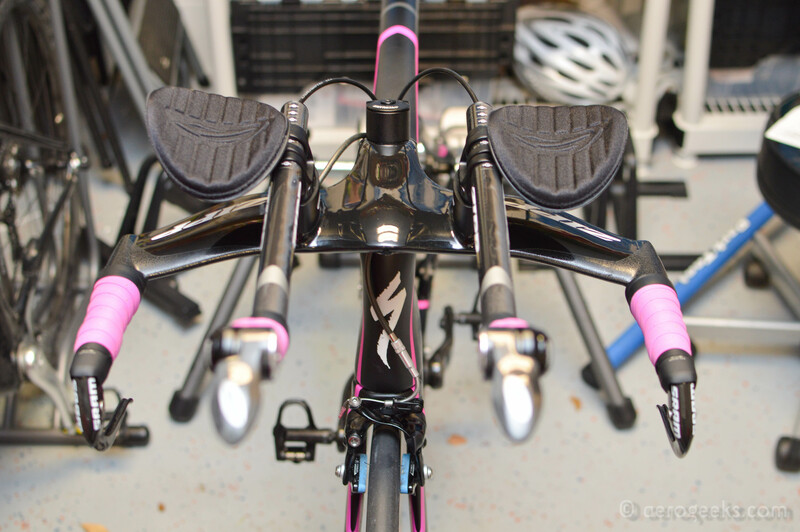 You’re either stuck adjusting your bike fit to accommodate the bar, or you simply learn to live it. The Stealth changes that. Once we were able to get the fit dialed in, it’s been by far one of the most comfortable bars we’ve ever ridden (and all those that don’t stack up were all properly fit as well). 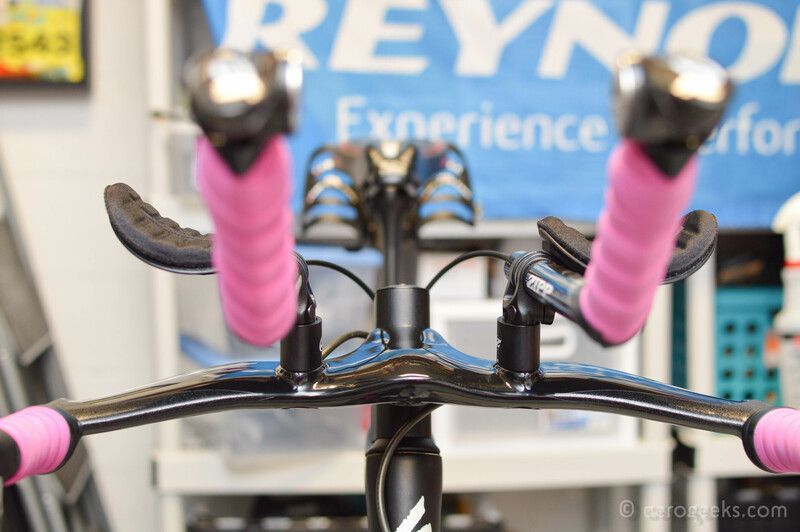 We are able to stay aero in the bars longer. And even on the pursuits for a group ride, the comfort remains. With other bars we’ve experienced numbness or just a general feeling of slight discomfort in different positions (feeling like we were forced to reach just a bit farther than we’d like, or not quite far enough, etc.). Of course all of this discomfort was the result of us trying to fit the bar—rather than the bar fitting us. 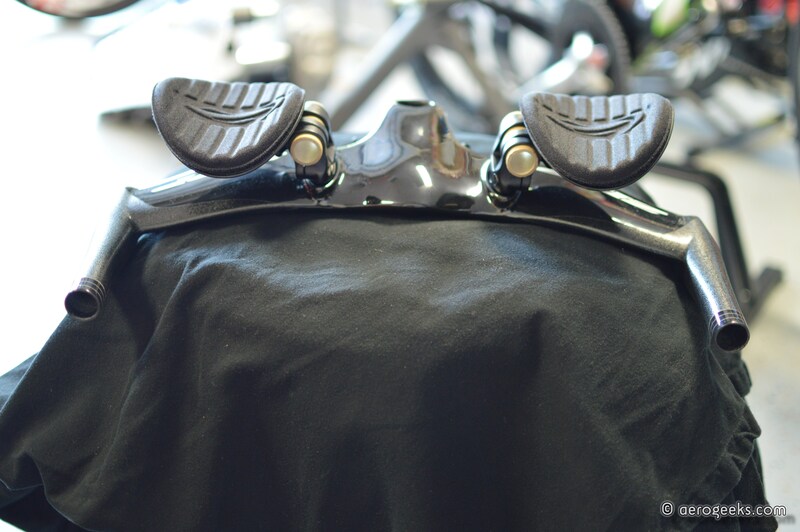 Oh, and those arm pads – they are definitely some of the most comfortable we have ever ridden. Measuring 120mm long and 100mm wide, they may seem oversized. However, they cradle the arms perfectly. 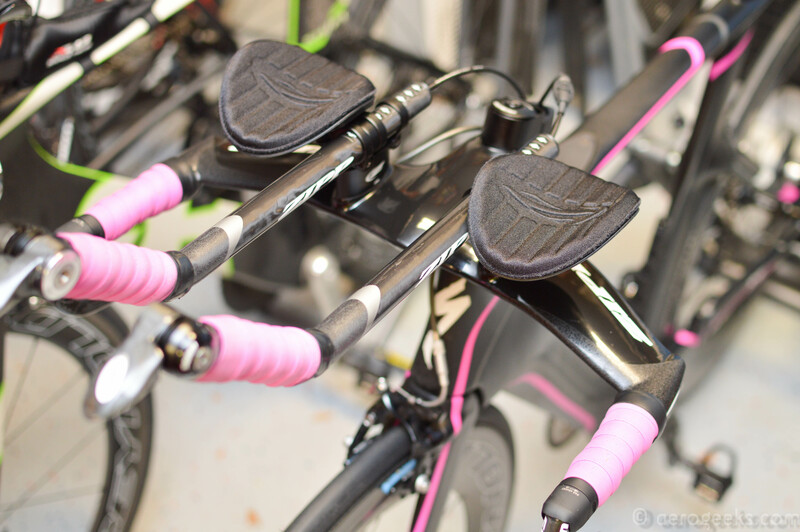 Part of that has to do with the adjustability options (between the stem lengths and five positions we were able to get the pads exactly where we wanted them) and the rest with the pads themselves. Over long distances, they are some of the best we’ve experienced. This is also what makes the bar worth its weight in gold. Sure, the price is far from economical. But we’d compare this to the old adage, “you get what you pay for.” And in this case, you’re paying for precision fit and high-quality materials. Plus, let’s face it—it’s gorgeous. We cannot take the Shiv out without getting a few compliments and stares. The price may be a bit to get over at first, but we think anyone who has the chance to ride this bar would find a way to pay for it. Fitting a bar to your measurements just makes sense. 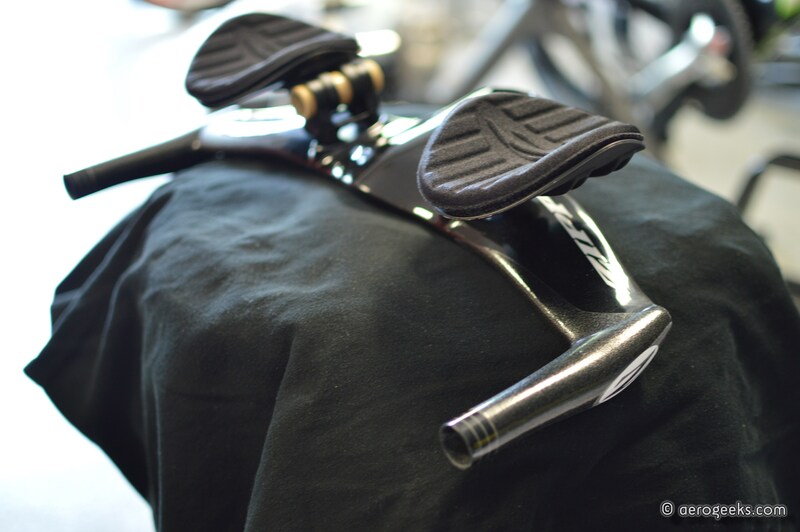 We fork over thousands for wheels to make us faster, but then we immediately sell ourselves short (and can lose seconds in the process) by scrimping on a bar that screws up your fit and leads to a poor position. After all, this is one piece of equipment you’ll rely on to keep you comfortable enough to remain aero for hours on end. We’d say that’s worth the budgetary sacrifice.